We clear your gutters and downpipes of all leaves, debris & grime. Get a quote now. Porter Vac offer a range of property maintenance services, mostly focused on roofing services, to both residential and commercial customers across Melbourne. All of our property maintenance tradesman are fully qualified and experienced roofing specialists using the latest technology and know-how to help your property endure the elements and maintain its value. While vacuum roof gutter cleaning is Porter Vac’s core service offering, we also offer other specialist roofing services carried out by our qualified professional team. Whether you have a large or small roof problem, we can provide repairs or full roof restorations. Pressure Washing services are also offered as part of Porter Vac’s suite of convenient and time saving property maintenance services to businesses and home owners all over Melbourne. Call us now on 1300 833 399 or request a Fast Quote to get an estimate of the cost of your property maintenance job with no obligation. Our experienced staff are happy to answer any questions you may have. Just had my gutters cleaned for the first time since our house was built 2 years ago and the team at PorterVac were fantastic to deal with, so much so that I didn’t even shop around for price, although it sounded reasonable in any case! Their website is very informative, communication is excellent and they are just very professional and friendly to deal with. Our house is large and the roof is quite pitched, but Dale completed the work quickly and efficiently and checked our roof over for any broken tiles, whilst he was up there. 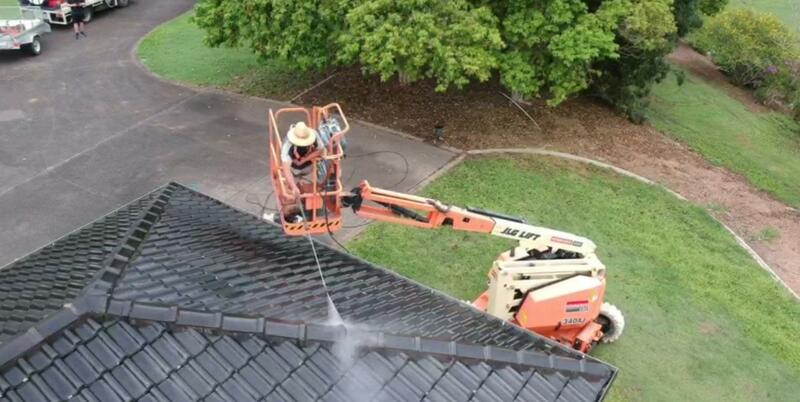 David and his staff have being doing our gutters for the last few years they are polite and dont leave a mess! They also repaired our roof and re pointed it. I highly recommend them!